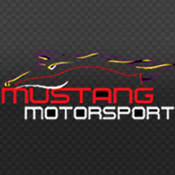 The Mustang Motorsports App is an ideal application for all Mustang lovers – young and old! It gives you the latest news on the cars you love, shows you the latest cars we’ve got available, some specials we have available on limited edition cars or when the price drops on the vehicles. What’s more; is this app has all the cars we currently have for sale. Browse, or use the search function, to find the car you’re more than interested in, and see it’s details just by clicking on it – it’s as simple as that! Found a car you loved on our app? Or just interested to find out more? Then go to the ‘Contact’ section and choose your preferred method to contact us! The Downloads section has lots of wallpapers of your favourite American Muscle cars, and even has a ringtones section with some of the best sounding Muscle cars around available. So why not show off your love for American Muscle and download these today?